Free FUNds are ways that you can help Patterson PTO earn money just be doing what you would normally do in your everyday life. Programs such as clipping BoxTops from your favorite food items, snapping photos of your receipts after grocery shopping and uploading them to your Shoparoo App, logging your receipts after shopping at San Tan Village for the School Cents Program, and ordering pizza from Papa Johns are just a view ways to help Patterson Earn FREE Funds! Did you know you can support Patterson PTO just by shopping at Fry's? It's easy when you enroll in Fry's Community Rewards! 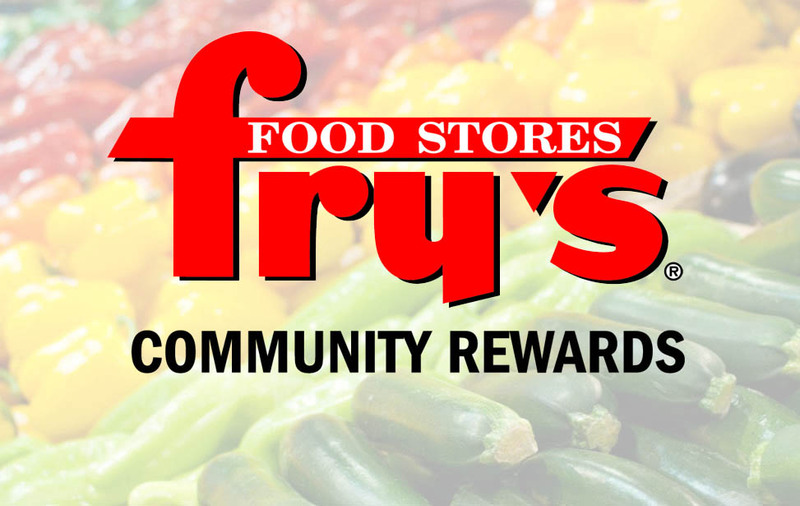 You MUST re-register for Fry's Community Rewards every September. It's as easy as 1, 2, 3 with the Shoparoo app for your smartphone! Just snap pictures of your receipts from purchase you have already made to earn points for Patterson PTO! Collect BoxTops from some of your favorite products! Save these BoxTops and send them into your child’s teacher throughout the year. Your child’s teacher will keep the BoxTops and turn them in during the PTO BoxTops Contests. Patterson earns $0.10 for every BoxTop that is collected! Use the code PATTERSON40 when ordering pizza from Papa John's on Higley and Chandler Heights. You receive 40% off or your order and 10% is donated back to Patterson! Patterson PTO operates from a budget based off of income from fundraising events, direct donations, and sponsorships. This year, the main PTO fundraiser is our Project for Patterson Campaign #P4P. This direct donation campaign will be last week of February through the first week of March. #P4P is the only type of fundraising event that keeps 100% of all donations at Patterson. We do NOT split the proceeds with any third party fundraising company! All donations made to Progress for Patterson are tax deductible! Watch for more information to come home from PTO and your child's teacher during the third quarter. Patterson PTO can benefit greatly from sponsorships provided by local area businesses of any size. These sponsorships support events such as our Fall Festival and Patterson Field Day. Do you work for, own, or know of a company that would like to make a tax deductible donation while supporting the Patterson PTO? Please contact us! There are sponsorship packages available in a variety of levels. Thank you for supporting your Patterson PTO!